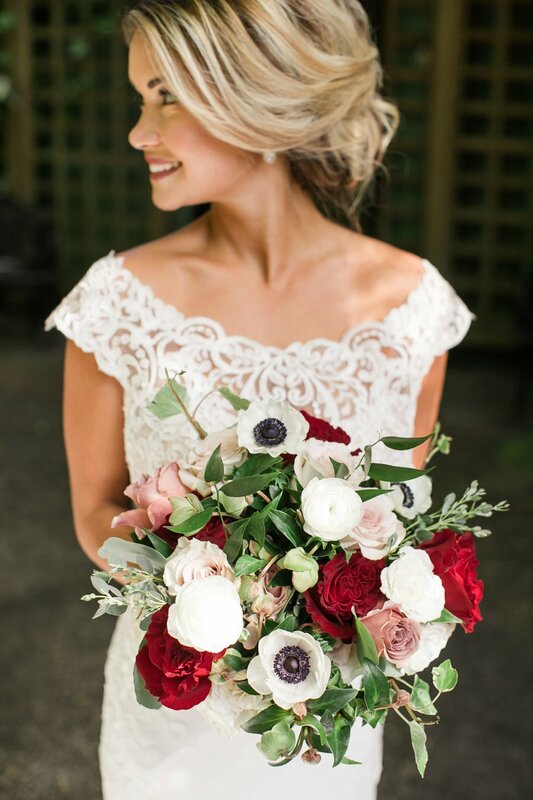 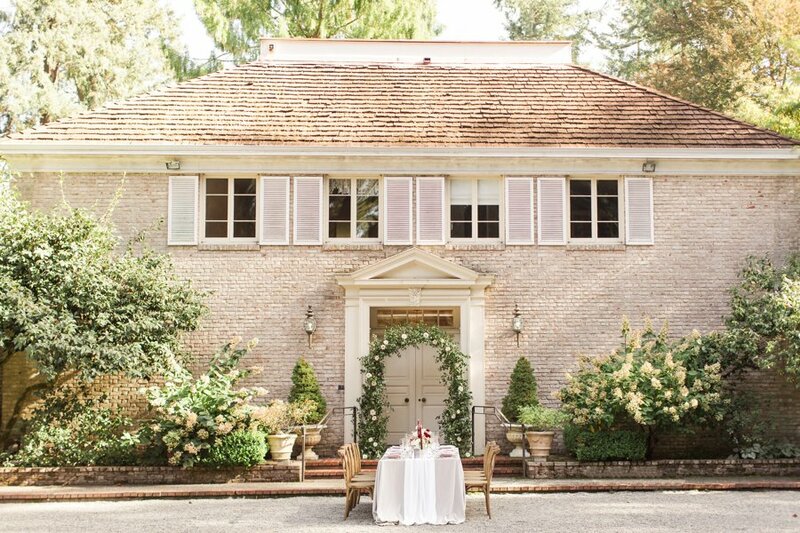 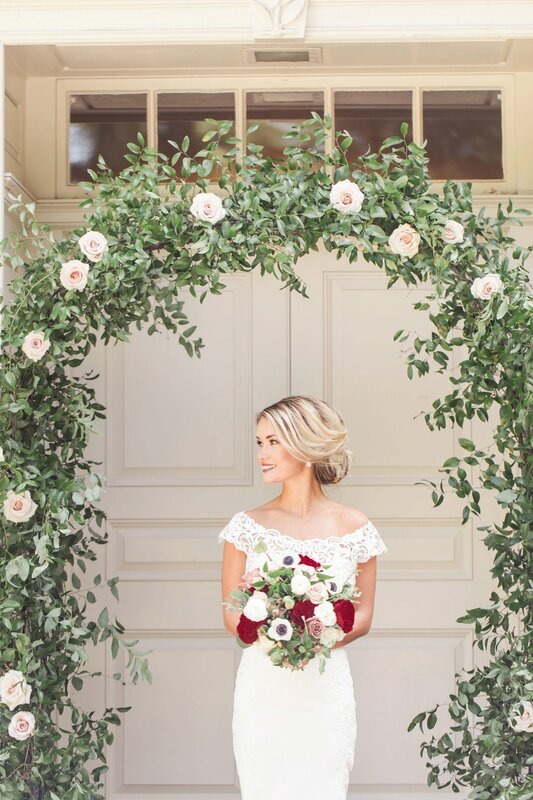 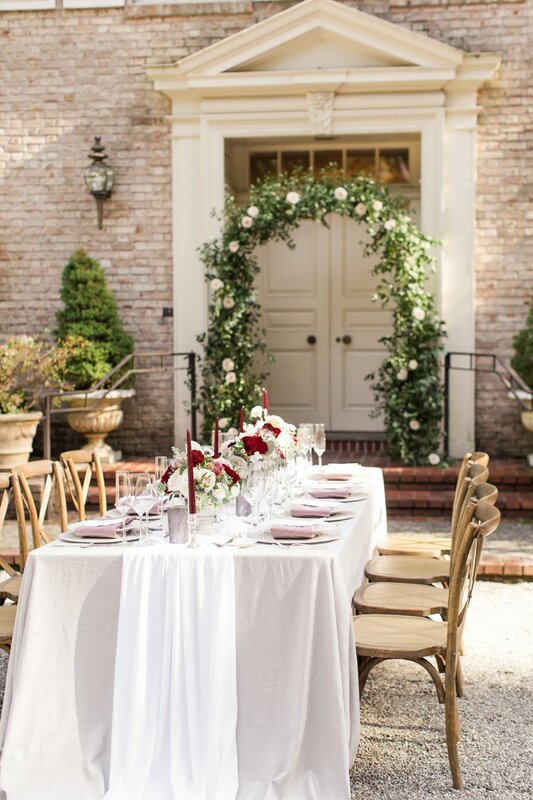 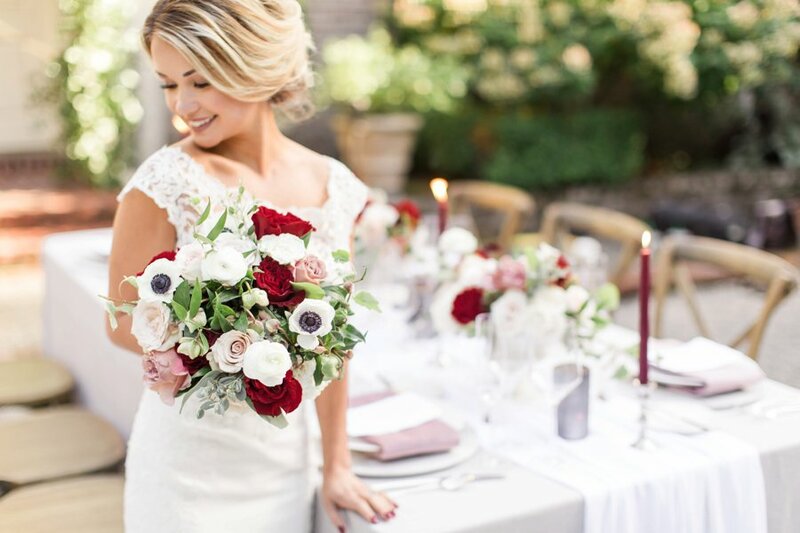 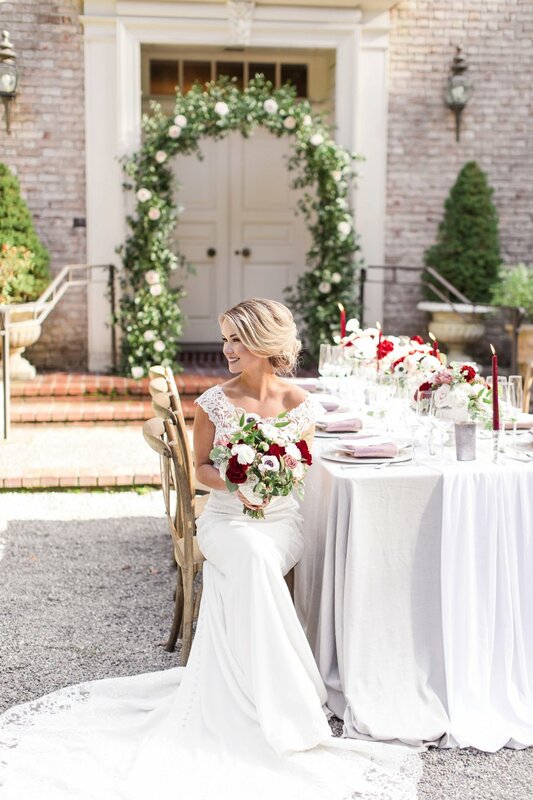 An air of romantic elegance was brought to life with soft rose, pops of red, and feminine textures that made this garden wedding look absolutely perfect. 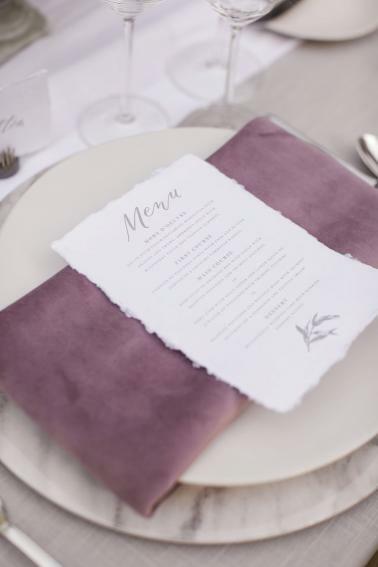 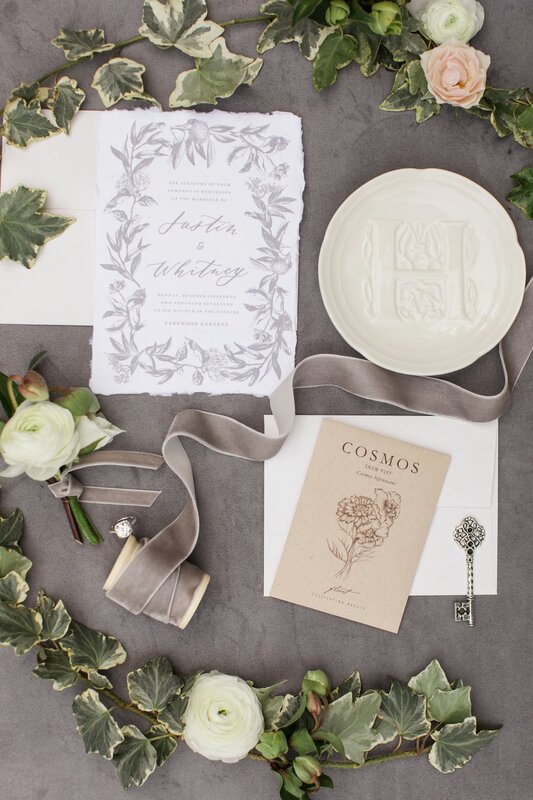 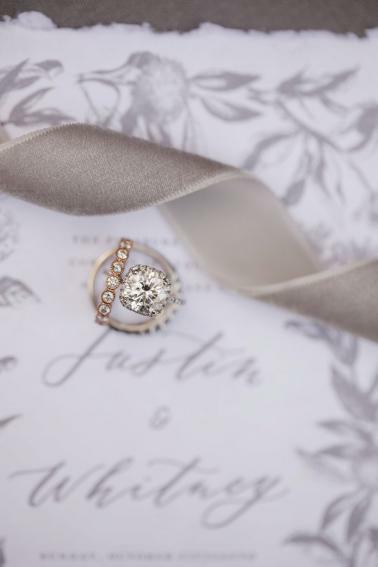 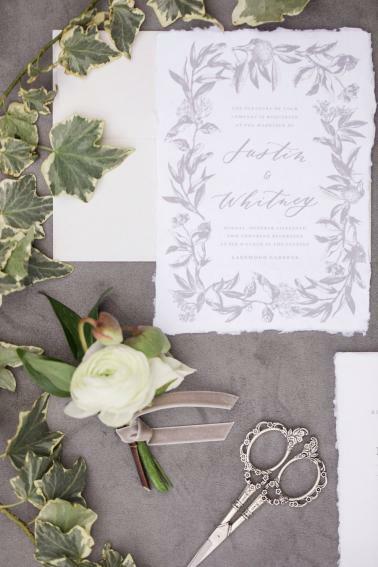 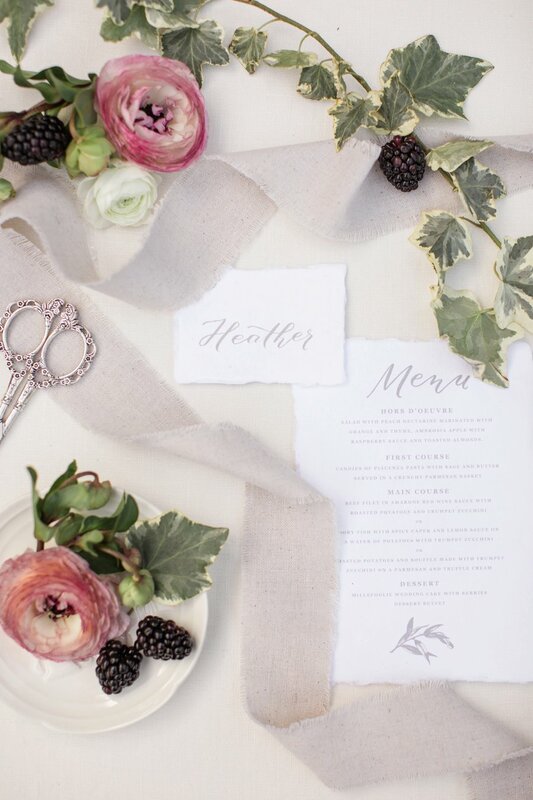 EVENTful Moments pulled together a stellar team of vendors that created a web of intentional details that added depths and layers to the design in the most beautiful of ways. 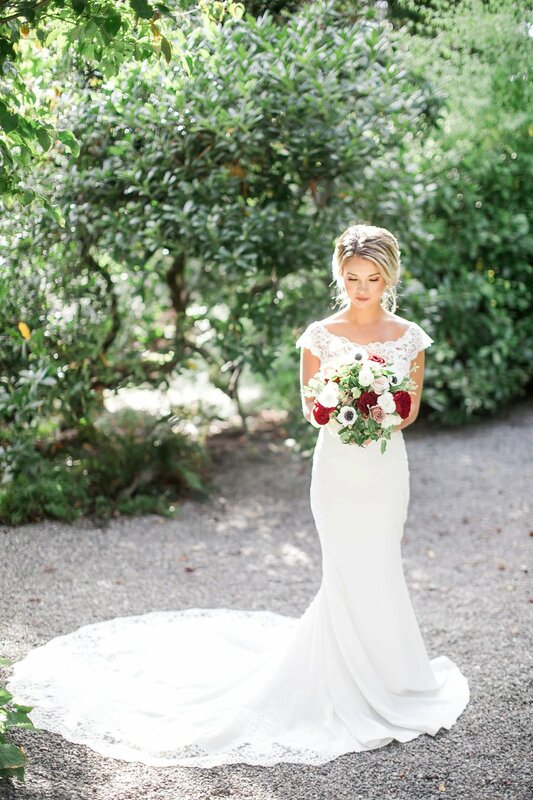 The bride wore a form-fitted gown from LaineeMeg Bridal, adorned with lace detailing and the perfect pop of sparkle in her jewelry. 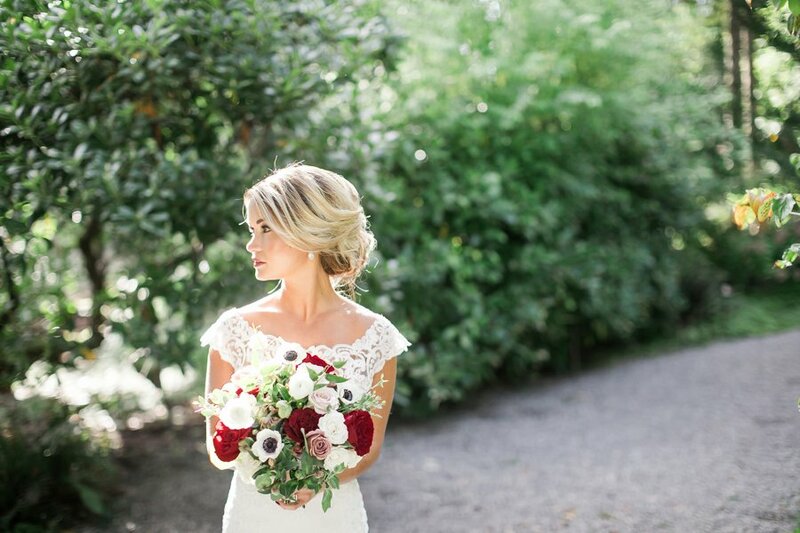 Her bold red lip and side swept hair made for a fun and flirty combo, perfect choices for the overall design of the day. 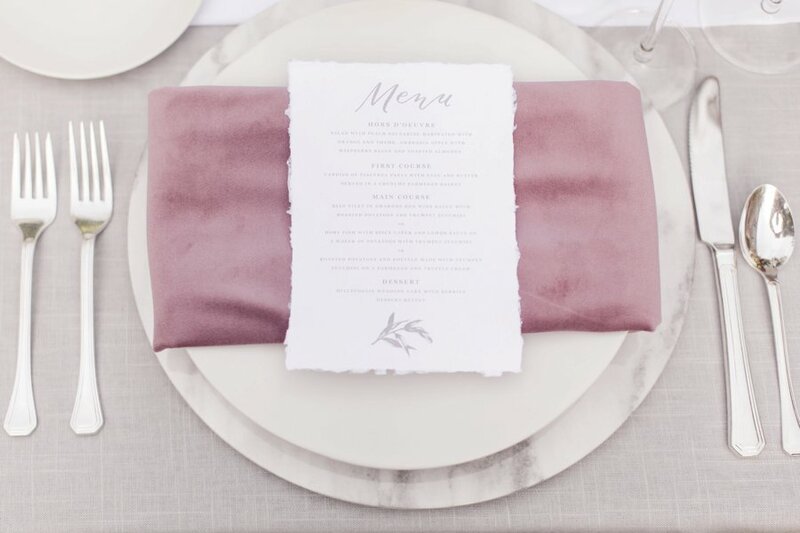 The table design was a favorite detail of ours. 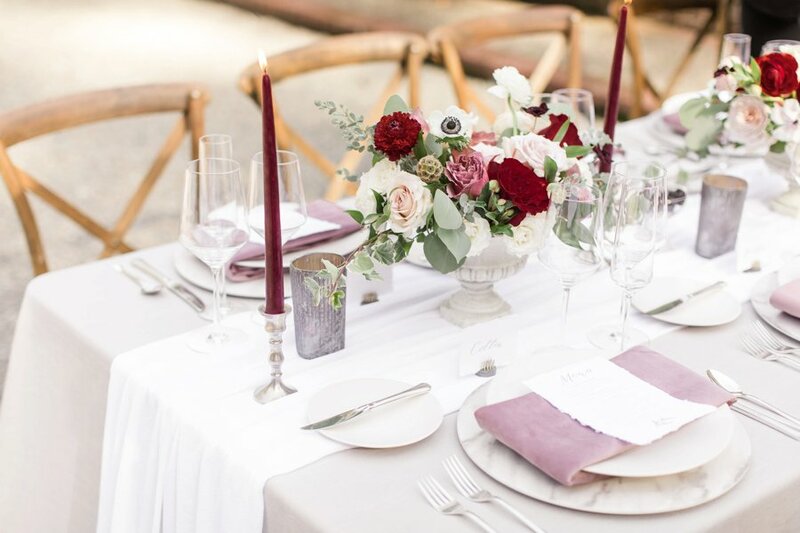 Mixing colors and textures and layering decor made for an elegant design that felt so effortless and elegant. 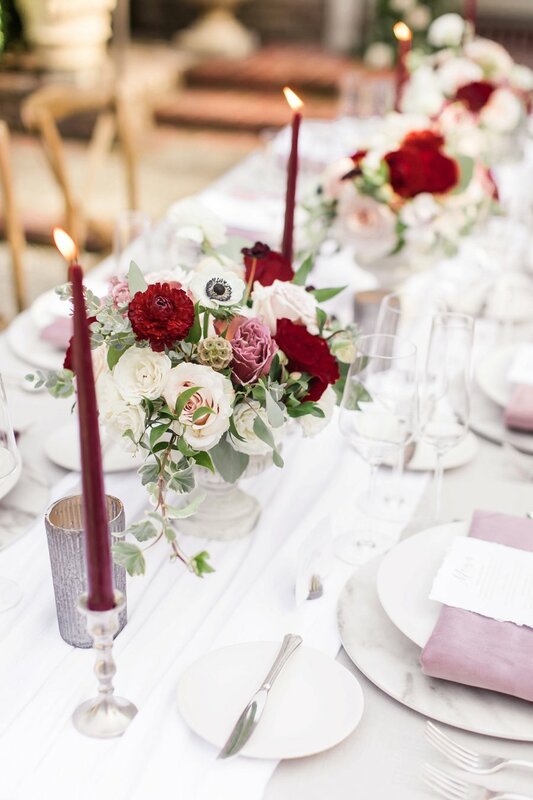 Touches of marble, chiffon, velvet, and stone were perfectly accented with silver details, and the red taper candles provided a romantic ambiance for guests to gather. 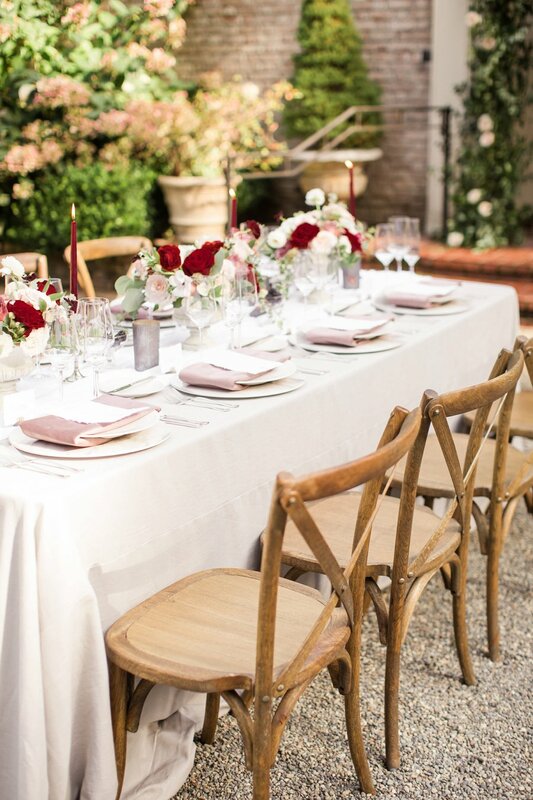 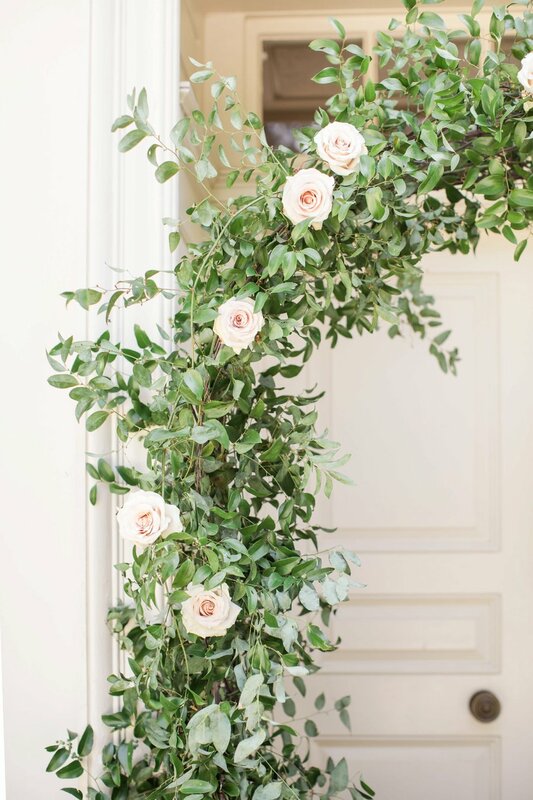 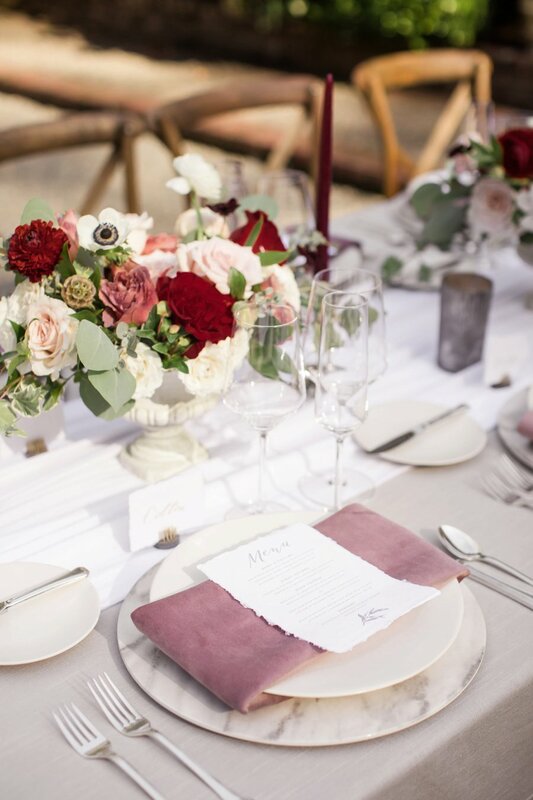 And we love that they chose to bring in a pop of dusty pink and red into the floral design, which provided a colorful contrast to the lush greenery of the garden elements. 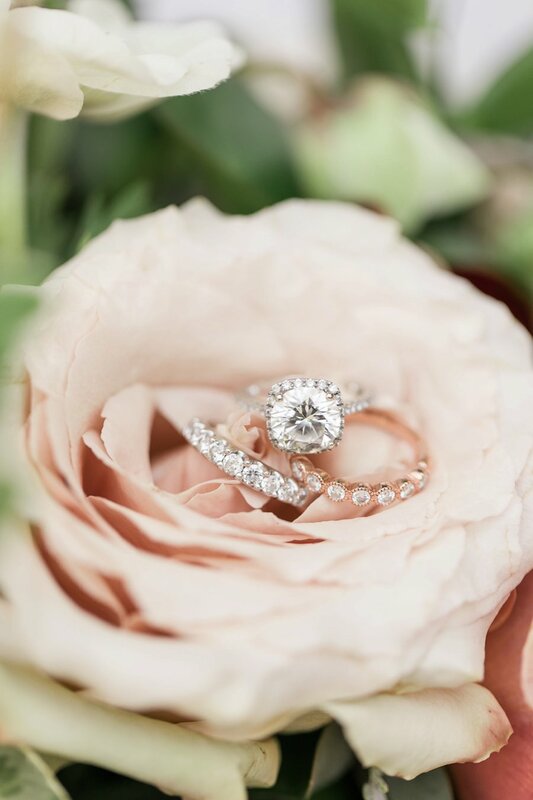 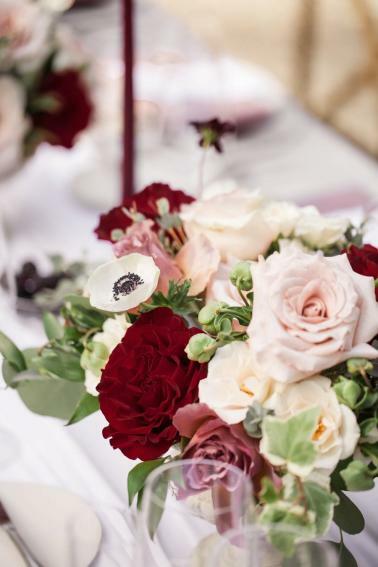 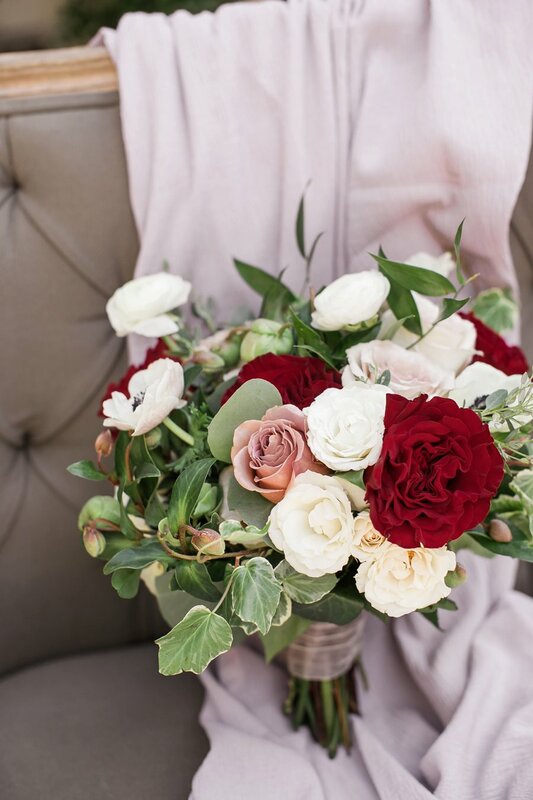 We hope you enjoy every detail Lloyd Photographers captured of this pink and red inspiration as we lead into a week of romance to celebrate the approaching Valentine’s day! 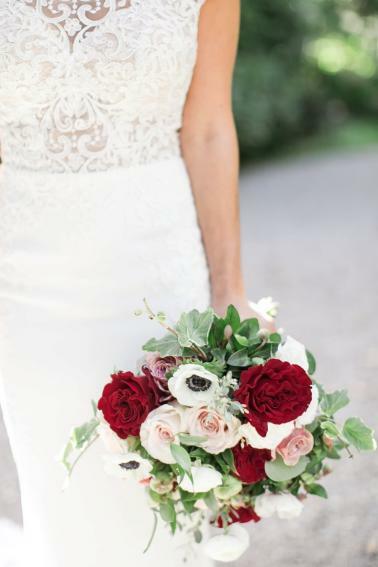 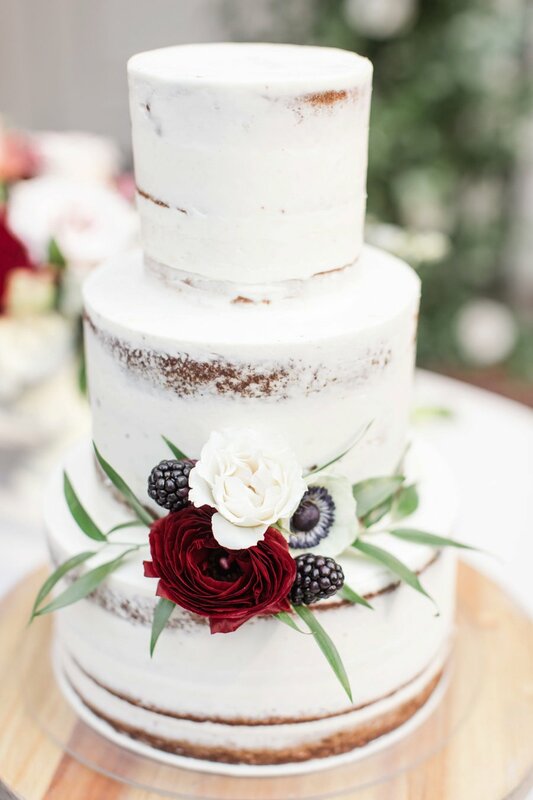 We love the sophistication and romance that this team pulled together, and this was such a beautiful way to add a pop of red without feeling overwhelmed by such a bold color choice. 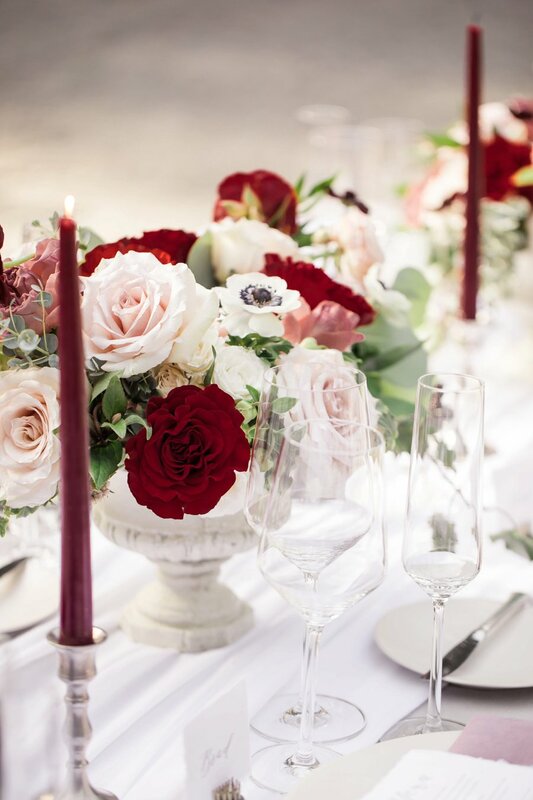 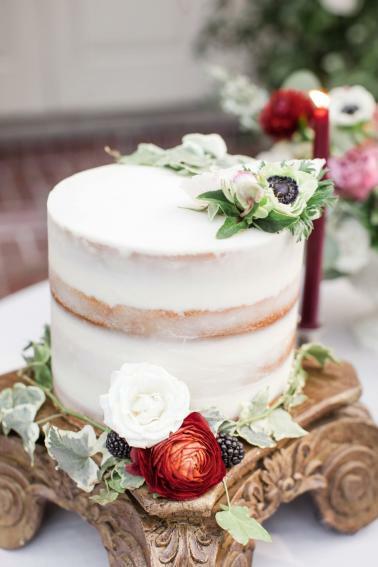 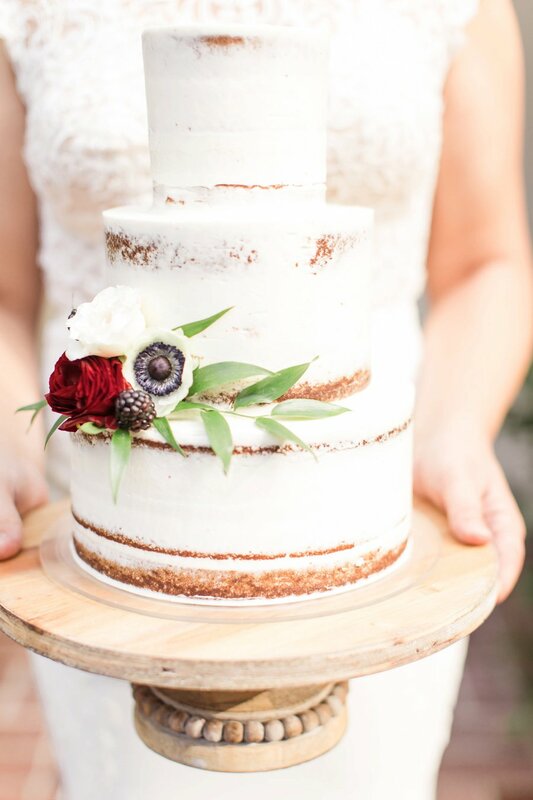 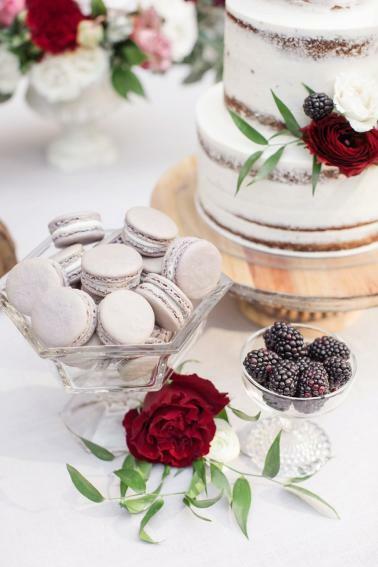 Are you planning on incorporating touches of red in your wedding design?